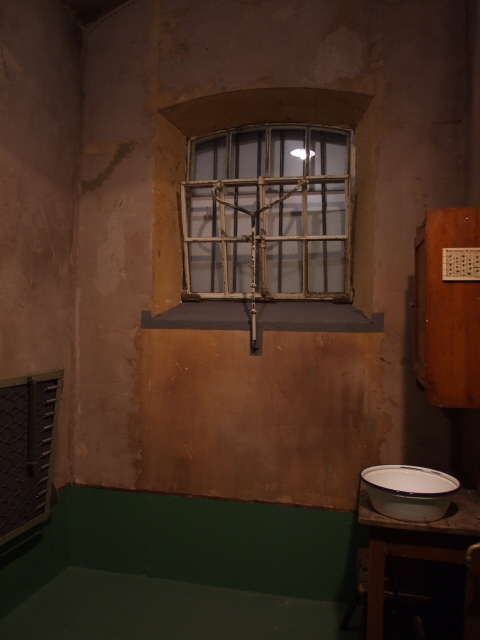 A small memorial/museum commemorating in particular the time when this prison was used during the Nazi era in Germany to incarcerate political prisoners. During the final period of WWII, it was also a satellite camp of Hamburg's large Neuengamme concentration camp. More background info: The prison in Fuhlsbüttel had already been in place for over half a century, when the Nazis came to power in Germany and began using it as a small-scale concentration camp, or 'police prison' (under the SS and then the Gestapo), and finally also as a satellite camp of the large Neuengamme concentration camp on the outskirts of Hamburg. Several hundred victims (at least 250) are said to have lost their lives here, mostly political prisoners, but also other "undesirables" such as Jehovah's Witnesses, Sinti or beggars. 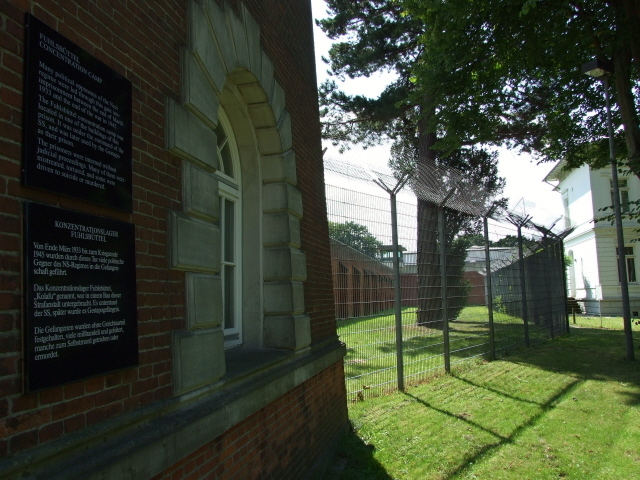 The prison is still in use, but not all that much is left of the original wartime look of the buildings, after successive efforts of refurbishment and re-building. 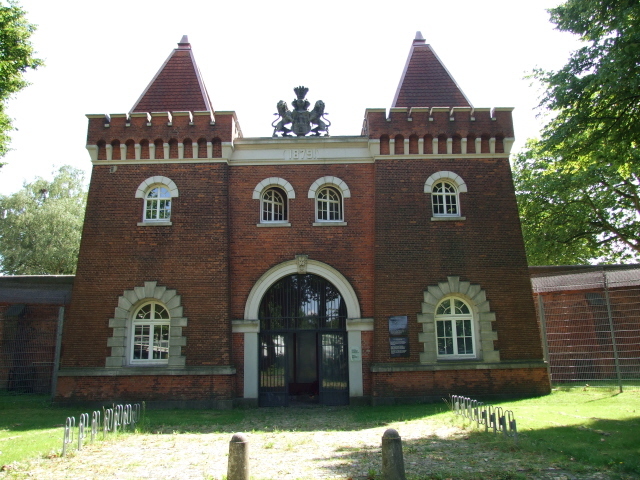 The memorial museum is housed in the former main gatehouse, which became redundant when a new one was built in the 1960s, but was saved from demolition thanks to being a listed building because of its architectural merits. In the 1980s, an action group was successful in campaigning for a memorial to be set up at/in the former gatehouse. It was opened in 1987 and redesigned in 2003. What there is to see: Not that much. Outside there's a memorial plaque on the brick wall of the gatehouse – together with a solitary English counterpart text plaque. Inside, however, everything is in German only. Downstairs is a memorial proper, a wall of names of victims – which serves as the place where wreathes are laid. Upstairs is the actual museum, in the former guardroom. 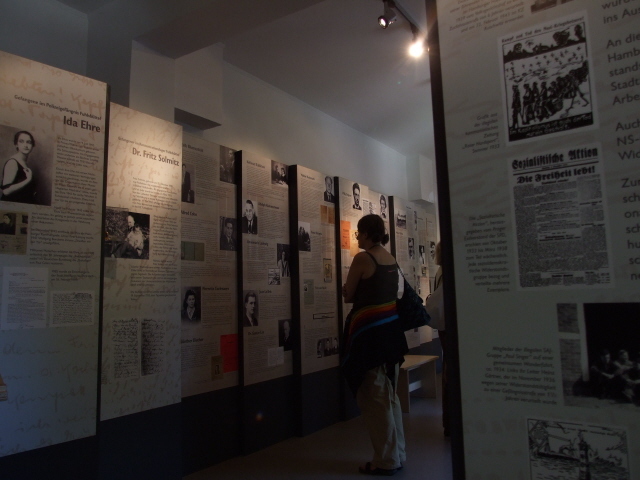 Several text plaques, photos and drawings describe the political developments and general conditions in Nazi Germany after 1933, and those in the prison itself. 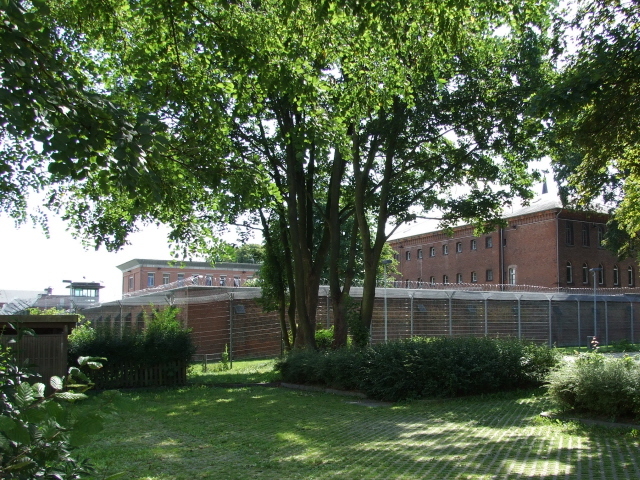 The personal stories of a few prominent inmates are highlighted – but all this will mean little to most non-Germans. 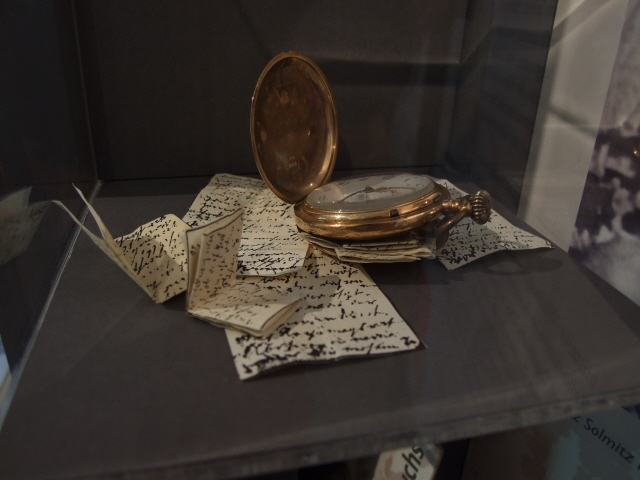 A few artefacts speaking more or less for themselves include a watch in which minuscule messages scribbled on cigarette papers were hidden – and you can see a reconstructed solitary confinement prison cell. Otherwise there's only the photos and your imagination. I'd say, unless you have some command of German, don't bother visiting the museum. Location: At Suhrenkamp 98, in the district of Fuhlsbüttel, in the north of Hamburg, some five miles (9 km) from the city centre, not far from Hamburg's airport (of the same name: Fuhlsbüttel). Access and costs: very limited, but free. Details: To get to the museum from the centre you can take the metro ('U-Bahn) or regional metro trains (S-Bahn) to Ohlsdorf (lines U1 or S1, northbound), and walk: looking north, exit the station to the left and turn right walking along the tracks northwards, then turn left into Am Hasenberge, and walk that street to its end, ca. half a mile (800m) – you'll already pass the prison complex. Finally turn left again and continue walking parallel to the prison walls for some 200 yards until you get to the little old gatehouse, a pretty red-brick structure with pointed square turrets. Signs will probably read "KZ-Gedenkstätte Fuhlsbüttel" or something very much like that. Time required: If you can't read German, then you'll probably be out again after less than 10 minutes – if you do have the requisite command of German and want to read everything, then about half an hour is required, possibly a little more. Combinations with other dark destinations: in general see Hamburg – closest, and easily combinable is Hamburg's huge Ohlsdorf cemetery, accessed by taking the other exit from Ohlsdorf station – its main entrance is just across the road. Combinations with non-dark destinations: in general see Hamburg – Fuhlsbüttel is well off the beaten mainstream tourist trail, but while the residential areas around the prison may not be very appealing, the green oasis of the riverside walk north or south along the Alster river (which you cross en route to the memorial/museum), is a little hidden gem for inner-city nature lovers. To the north the path takes you to positively rural parts after a while. Due south, the waterway is a bit wider and the walk more city-like, though still very green. Some stretches of waterfront are not accessible, however, so you may have to cross to the other bank, esp. as you get closer to/deeper into one of Hamburg's quarters dominated by the villas of the rich … although some of those are sights in themselves ….